Money Classic Research is one of the reputed stock trade advisory firms which is both SEBI registered and ISO certified. 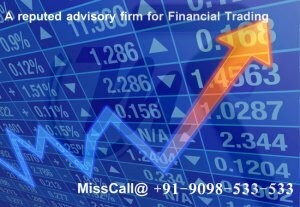 We have a team of highly experienced and knowledgeable technical analysts, who on the basis of their in-depth technical analysis provide accurate calls related to equity and commodity market trading. Along with the above listed strategies we have different plans and different options for various traders depending on their style of trading and investment segment. We provide Nifty Tips as well as tips on individual stocks. You can contact us for free trading tips for free trade in Stock as well as commodities segment.